Complete the online questionnaire and application. Have your birth certificate (in English), school transcript(s), test scores, two recommendations, and a current photo ready to upload. You must provide a current photo; the student will not be accepted without it. There is a $150 application fee and an additional $100 international fee. You will hear from the Registrar regarding acceptance status. Submit completed enrollment forms and the immunization form to the FLA Registrar. You will be given the ELL Director's SKYPE information and you will have an interview and assessment. Secure a home stay/host family. You may use any agency you choose. These are recommendations; however, whichever agency your use must send verification of the Home Stay to FLA before the school can release the I-20 form. Complete a financial contract and submit full tuition for the academic year. The I-20 and F- 1 Visa will be mailed after the payment has been received. In order to ensure the most appropriate grade level and course selection for your student, you will be required to submit an official evaluation of your student's academic transcripts. This process can be done through one of the professional agencies listed below. Please keep in mind that there is a processing fee involved that you will be responsible for. Upon completion of this step, we look forward to proceeding with the admissions steps on behalf of your student. We aim to ensure a Forest Lake Academy education is within reach for all those who qualify to enroll. To learn more about the costs associated with attending FLA, visit our Tuition and Fees page. Download our International Student Guide (PDF) for full program details. Ready to join the FLA Family? Seventh-day Adventists are a worldwide family of Christian believers. While our countries of origin, cultures and languages span the globe, our faith is our common ground. 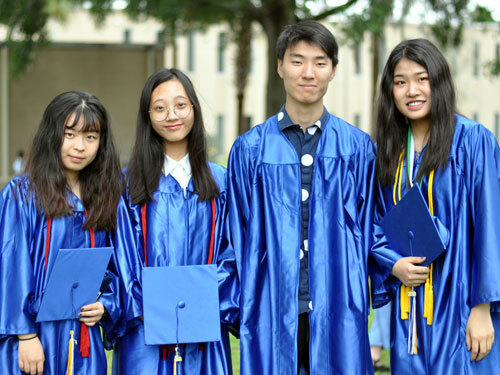 In this spirit, Forest Lake Academy (FLA) welcomes qualified international students from around the world to join our Home Stay/dorm boarding program. Our unique, holistic and immersive program creates a community where international and American students experience intellectual, social and spiritual growth together. Our program is designed to ensure student success at both the high school and university levels. At FLA, international students attend classes with their American peers in an immersive English environment. We offer an ELL academic enrichment program for students who desire a stronger foundation in the English language. In addition to a rigorous high school curriculum, FLA offers a number of honors-level and dual enrollment classes in conjunction with Adventist Health Sciences University. Almost all of our international students desire university admission. We provide each student with support throughout the college application process. Graduates of FLA's international program have gone on to attend universities all over the United States. Our program is also designed to ensure international students feel supported, enriched and at home during their time with us. 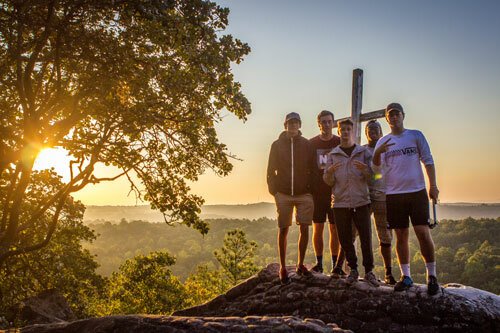 Through shared experiences and activities, students living in our dorm enjoy enhanced personal and social growth at an important time in their lives. A variety of clubs and student organizations are available to keep students engaged and connected to peers outside of the classroom. Monthly meetings with members of our international department provide students with a regular source of guidance and support. Home Stay or host families provide another link to local culture and community, and will care for students during home leaves (once a month), vacation breaks, emergencies and illnesses.